GearHeads Rejoice - This Gear's for You! Our Senior Editor doing what she loves best. 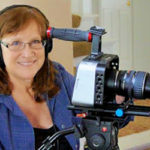 I admit it, I’m a GearHead, Techie, Gotta-Have-It kind of Filmmaker! 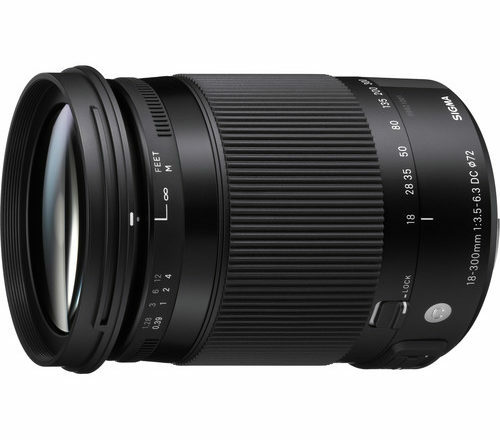 But it is not always about the big stuff we NEED (yes, need) like cameras, lenses, tripods, lights, etc. There are lots of little things you can give to the ones you love to put a huge smile on their faces during this holiday season. 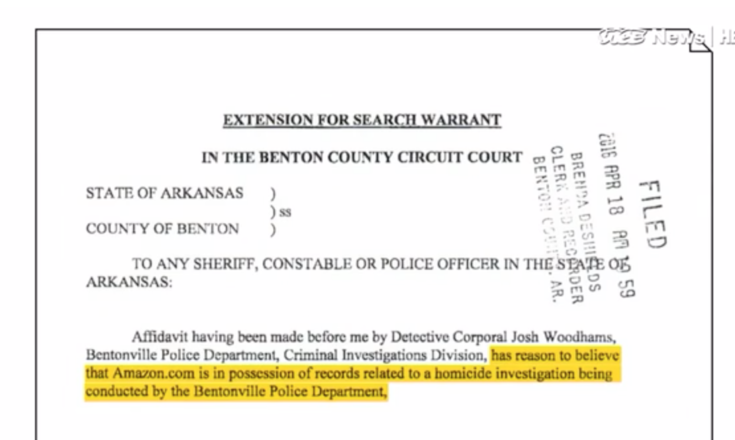 So grab a cup of coffee and scroll. Here are some ideas, all under $30! (Well, a couple that are a bit more expensive if you feel like splurging.) All have been tested as I travel the world to crazy locations like the jungles of Peru, remote Cowboy country in the mountains of Oregon and crowded film festivals such as the Berlinale in Germany. 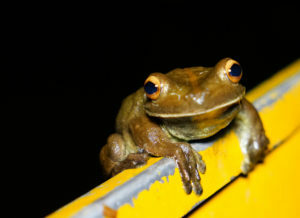 A night visitor on the Peruvian Amazon. Ready? Here we go! (Lots of Amazon links here because that is the easiest way to shop, right?) All prices are as of today and do not reflect tax or shipping. You might even be able to get a better deal, but hurry as some of these are selling out! If you like what you see here, please SHARE on the links below or your own sites. We’d appreciate it and so will your gearhead friends. FYI – We get NO commission for any of these recommendations. This information is being published here to help you be better at what you do and make your life easier – and that makes us incredibly happy! Zoom H1N hard case – protect that recorder! 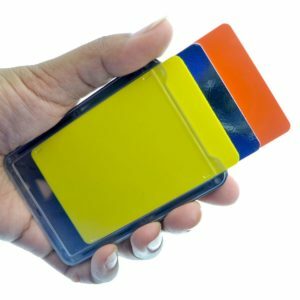 Love these for trade shows when I have to carry more than one ID. You can put your credentials in the front and have easy access to your ID and credit card for those quick trips to the coffee bar during the day. 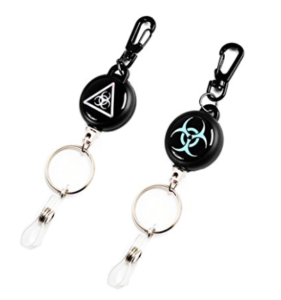 Shineln Safety Anti-lost Retractable Key Chain with Steel Wire for Keys, ID Cards, etc. 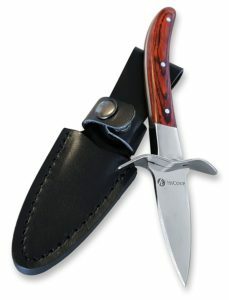 (Pack of 2). 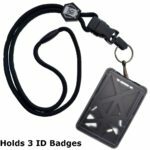 Hook this to your backpack, your camera bag or wherever you keep your keys and have instant access. I’m always looking for those darn keys. This keeps them together and the retractable wire allows me to pull them out without detaching them. 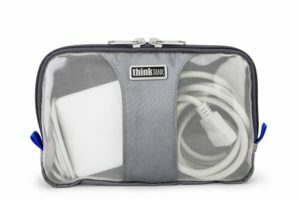 Think Tank Photo PowerHouse Pro for your MacBook Pro adaptors or larger batteries. Magic Gear Flexible and REUSABLE ties. This is my new most-favorite thingy-thing: Forget the old twist ties, the bungies, and other ties. These Magic Gear Ties from AusKit are the absolute best for tying cables, keeping your cords organized and not getting lost, as they can twist on to the cable when you are using it. They are flexible, colorful and come in lots of sizes. I use them on everything in my kit! Here’s a package of 18 assorted colors and sizes for $11.99. 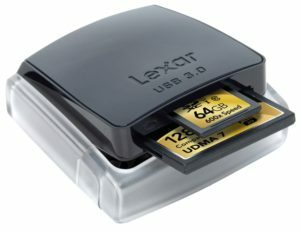 The Lexar professional dual-slot USB 3.0 card reader: this is a handy small accessory that takes both SD and CF cards and works on bus power, so you can transfer from card-to-card or from two cards at once to your computer or NEXTODi and it pops up to keep dust out of the slots when you are not using it. Comes with its own SuperSpeed USB 3.0 cable. You will be so hooked on this little gem that you will probably want several. I keep one near my bed for charging devices at night, another one in my laptop bag and yet another in my camera bag. 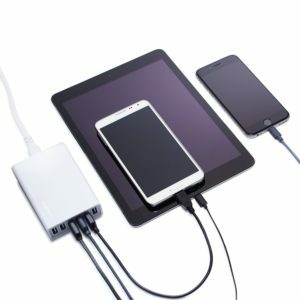 It is the Belkin 3-Outlet SurgePlus Mini Travel Swivel Charger with Dual USB ports. It swivels to allow for easy access to the USB ports no mater the configuration of the outlet. 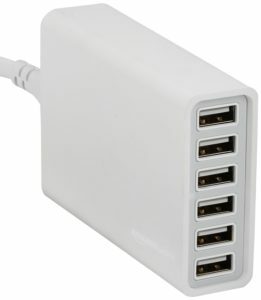 6-Port USB Charger from AmazonBasics with 60W power for your devices! 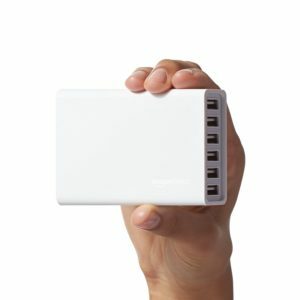 There are 60 total watts of screaming-fast power in this tiny 6-port USB charger from AmazonBasics. I take this one everywhere. 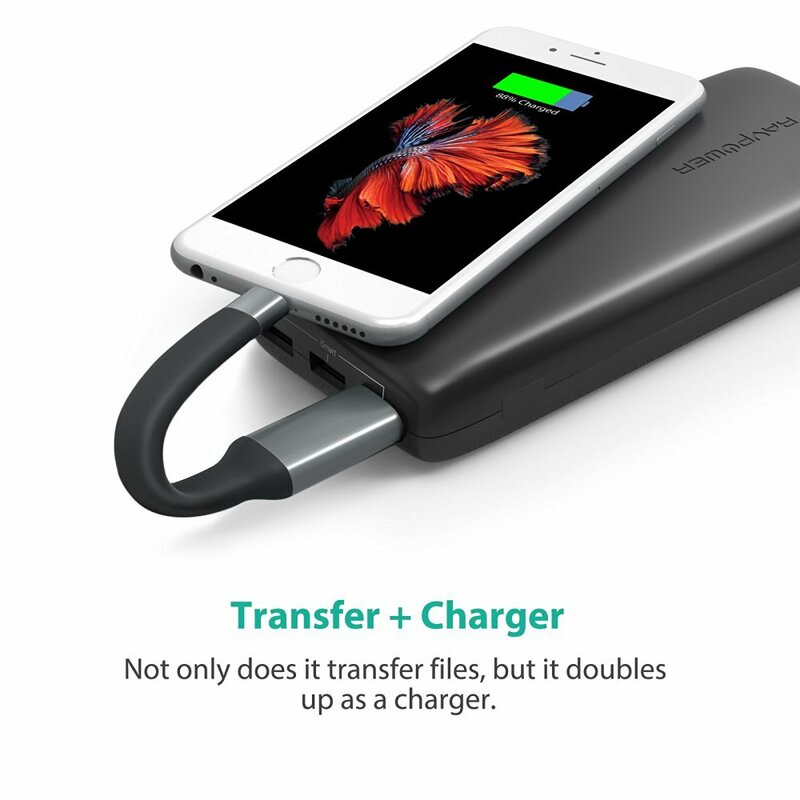 It has enough muscle to power-charge my iPad, my iPhone and give some slots to my neighbor sitting next to me at the airport! Fits in the palm of my hand but snuggles easily in my camera bag. I have a second one that I keep in the living room at home so the whole family can use it simultaneously. 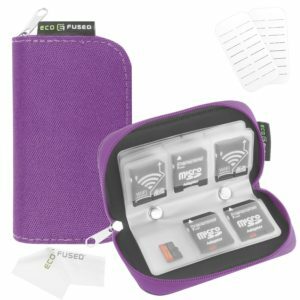 EcoFused Memory Card Carrying Case with Slots that can be labeled. This small memory card case from EcoFused comes in handy on set until we can meet up with the DIT to give them our cards. We use paper tape to identify which card is in each of the slots and it makes organizing easier. They come in several colors so you can color-code them by camera operator! Even though it does not have a lanyard attachment for safety (which does make me a tiny bit nervous), we find that it is quieter to open on a working set than the example that follows. You decide which one you like best. 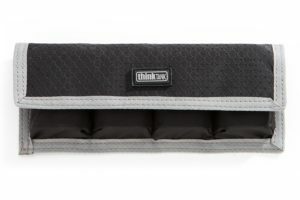 ThinkTank Pocket SD Card Holder with Laynard. This Media Card Holder (the ThinkTank Photo SD Pixel Pocket Rocket, yep weird name, but useful accessory!) 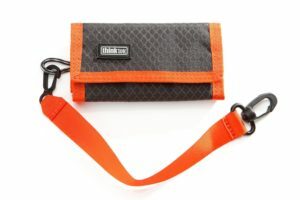 is nice because of the lanyard that can be clipped to your belt loop or inside a camera case. Only drawback on this one is that it has a velcro closure that can be noisy when you are working on a quiet set. You can tape over the velcro, but then it is not as “secure” in terms of keeping up to nine media cards safe. I like the safety aspect of it, however, so I keep a couple of these for temp storage of my cards. 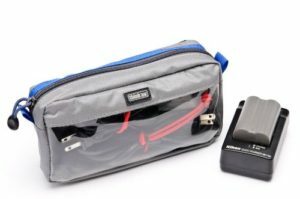 I can’t say enough about this Bagsmart Electronics Travel Bag! The bright yellow color makes it easy to find and it is just the right size, not too big, not too small. Fits in my laptop bag or can be checked in the suitcase, but wherever you use it, you’ll never again lose that tiny piece of gear or adaptor, as it will be right there where you put it. 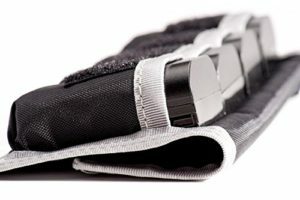 The mesh pocket holds notes or equipment inventory and the outside handstrap is a welcome design addition. 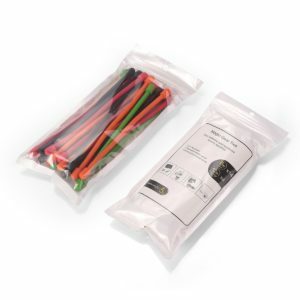 Made from water resistant nylon, it is great for those hostile wet/dusty environments. Here’s another little jewel from ThinkTank, a 4-pocket DSLR Batter Holder! Yep, it slips into your pocket, another ThinkTank bag or inside your camera bag and keeps the batteries ready to use for those moments when you have to make that quick change. Do you have any favorite accessories/stocking stuffers you’d like us to know about? Feel free to contact us and let us know! We’re GearHeads too and always looking for cool stuff!